Jancon Exteriors, an established name in residential roofing services, provides world-class roof replacement solutions in Walpole, Franklin, Mansfield, Massachusetts & surrounding areas. Blame it on weathering or ageing, most properties require roof replacement, especially the ones more than 20 years old. 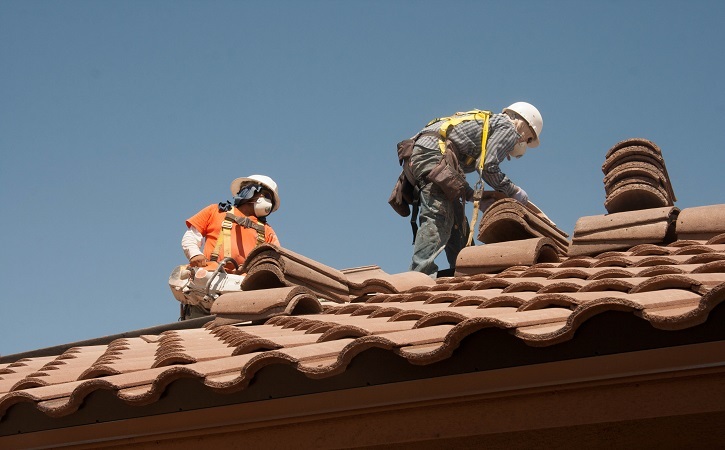 Whether the problem is an ageing roof, storm damage, or a case of decking failure, our team of roofing experts are equipped to take care of all types of roofing replacement needs, while keeping the surroundings clean of any spills and debris, to ensure minimal disruption and minimize the time required for the final cleanup. First and foremost, our installers remove the existing shingles to identify the deteriorating plywood underneath and replace it, if required. In case of extensive damage, the entire roofing system, including shingles, plywood, flashing, and gutter, to the last nail, is replaced, ensuring a perfect fit to the structure. Anything that is not structurally sound in the existing roofing system is also replaced. All our roof replacement solutions are properly ventilated, which ensures optimum lifespan of roofing systems and also prevents mold formation. Lastly, we apply secondary water resistant sheets as required for roof replacement insurance. Still Wondering, Why Jancon Exteriors? To learn more about roof replacement services, roof replacement estimate or available roof replacement financing options in Franklin, Mansfield, Massachusetts & surrounding areas, feel free to contact us at (508) 520-3935 or fill out our contact form.